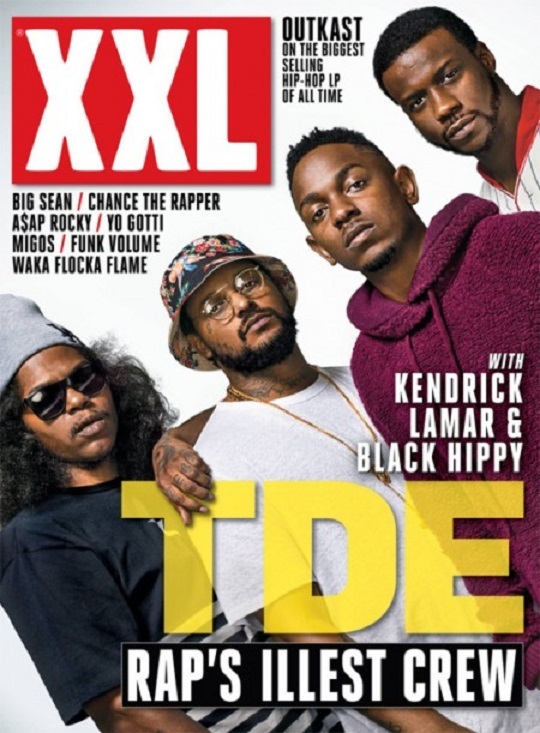 Black Hippy covers the new October/November issue of XXL magazine. Take a look as California rappers Kendrick Lamar, ScHoolboy Q, Ab-Soul and Jay Rock pose for the camera as photographer Jonathan Mannion goes to work to capture the right image. This entry was posted in Artwork, Photos and tagged Ab Soul, black hippy, Cover, hip hop, Jay Rock, kendrick lamar, rap, Schoolboy Q, TDE, XXL magazine. Bookmark the permalink.